The 22nd GILF linked with 7 sub-venues, creating an exhibition area of over 1,500,000 sqm. The number of exhibitors in main venue has increased to 816, a 0.6% rise compared to 2017. The 5-day fair recorded 310,000 person time of entrance, with 89,658 buyers from 118 countries and regions. Overseas buyers reached to 5,433, a 20% increase compared to the same period last year. “International Streetlight City” to expand this trade show in terms of the exhibits range and total square meters. As for fair’s service, the new tailor made service “VIP Sourcing Tour” connected quality suppliers in sub-venues to overseas buyers with specific sourcing purposes. The 18th China (Guzhen) International Lighting Fair was successfully concluded at the Guzhen Convention and Exhibition Centre on Oct 26th, 2016. Altogether, 274,842 visitors from home and abroad were attracted to this short 5-day exhibition. The main hall saw 83,614 visitors, including 4,126 from 118 countries and regions. The area of the main hall covered 37,000 sqm, attracting 675 distinguished enterprises. The 16th China (Guzhen) International Lighting Fair was successfully concluded at the Guzhen Convention and Exhibition Centre on Oct 26th, 2015. Altogether,234,373 visitors from home and abroad were attracted to this short 5-day exhibition. The main hall saw 68,194 visitors, including 3,419 from 112 countries and regions. The area of the main hall covered over 30,000 sqm, attracting 616 distinguished enterprises. Various kinds of products covering the whole production chain both in the up-stream and down-stream, including commercial lighting, electricity lamp, outdoor lamp, LED lighting and lighting accessories, could be seen. The whole new design was widely applied in the comprehensive product catalogues. 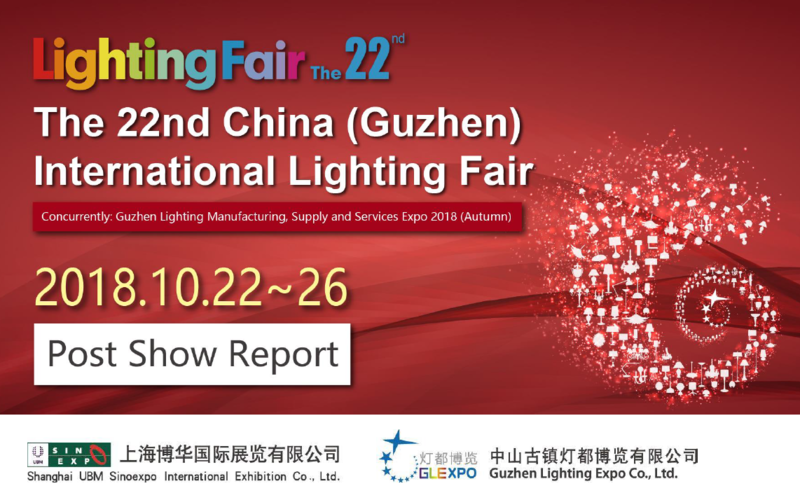 The 14th Guzhen Lighting Fair harvested a successful conclusion on 26 October. Combining 56,828 quality buyers which include 2,849 overseas buyers from 95 countries in the main venue, and 138,566 professional buyers in the four sub venues, this autumn edition totally attracted 195,394 visits, a 105% increase compared with last autumn edition. Click to Get Free Admission!